Cutter set Dahlia. Leaves and petals. 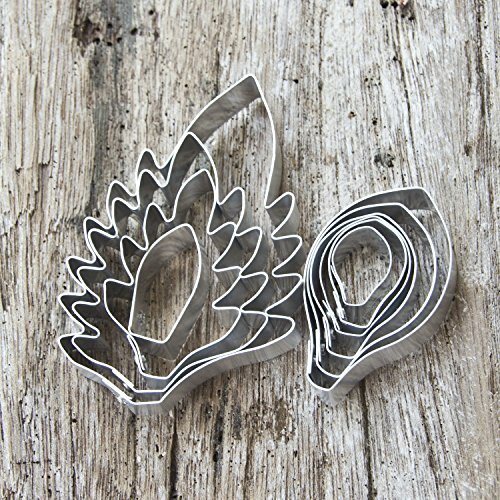 High quality Aluminum 90 cutters for sugar craft, wedding cake decoration, flower clay. Will not rust. Shipping by air mail with tracking number for check a trip of your order. Easy to clean,long lifetime. Cutters will not rust.